Enjoy wonderful hair without the worry! Though blow dryers make your hair look great, all that exposure to heat is actually quite damaging to your hair. Your hair can end up dried out, frizzy, or with split ends, which is never a good thing. 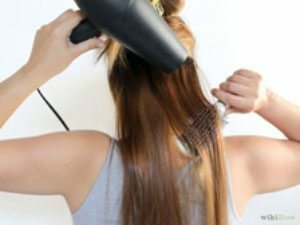 If you’re worried that you’re going to fry your hair with your frequent blow drying, there are some steps you can take to minimize the heat damage. Begin blow drying your hair at a low temperature. Make sure to work your way through the hair sections you mapped out in the previous step. Work through your hair until it’s about 40% dry. 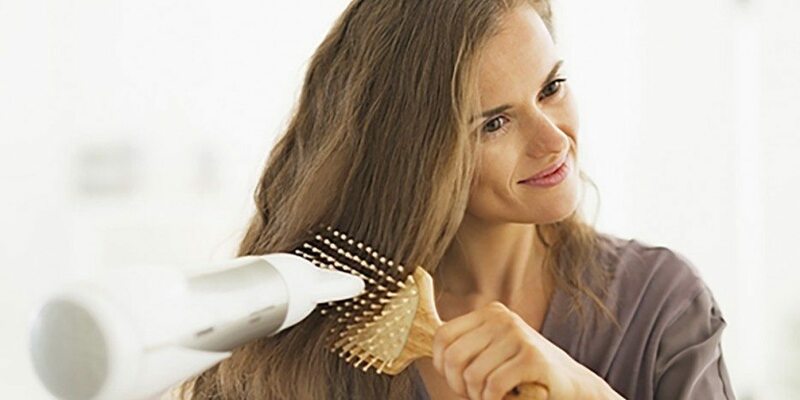 Continue blow drying your hair on medium or high heat. A good way to use a diffuser is to drop your hair into its fingers and letting the air blow up through to the roots. Flip the heat setting on your dryer to cool, or use the frost-boost button if the model of your dryer has one.